Most of you who visit SitePoint are on a quest to learn. When we run into a problem, we quickly search for a solution. If weâ€™re not familiar enough with a web topic, or want to expand our knowledge in a particular skill set or tool, we look for quick lessons to teach us more. Weâ€™re always researching. With increasing time constraints, it can be hard finding time to work/study, eat, socialize, and sleep. Thereâ€™s no wonder we tend to put our bookmarked 2-6 hour course on the backburner. We get it. Thatâ€™s why weâ€™re happy to introduce Mini Courses, itâ€™s a shorter course especially made for your quick breaks. What Makes Mini Courses Different from Courses? Apart from it being shorter, youâ€™ll also notice that mini-courses are a lot more focused, and really explore a topic, skipping the fundamental basics of web development. Weâ€™ll dig deep into niche topics, frameworks, and tools, giving you a larger library to learn from. The biggest and best news isâ€¦ itâ€™s free! Thatâ€™s right. You will need to be a SitePoint user to access our Mini Courses, but thatâ€™s as simple as a click of a button to join. When is Our first Mini Course Available? Today! Weâ€™ve just launched our very first Mini Course on MS Bots. Bots have slowly been taking over the development landscape, with predictions that they will cause a decline in app development. Now you can learn about whatâ€™s involved in developing your very own chatbot using the Microsoft Bot Framework. What will MS Bots cover? In this 1-hour course, weâ€™ll also show you how to incorporate smart tools such as a LUIS.ai, a language comprehension tool for your bot. 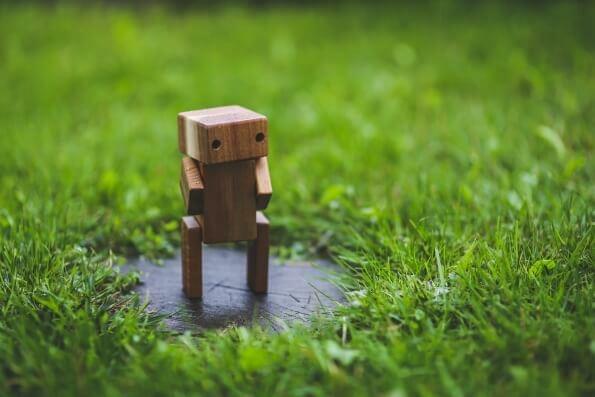 No chatbot is truly complete without having a human touch, and thatâ€™s available through the Text Analytic API for sentiment analysis and appropriate bot responses. By the end, you’ll have built a Skype bot that recommends movies using all the tools Iâ€™ve mentioned above and more. What exactly will you be learning and how? Letâ€™s dig a little deeper into these lessons. Weâ€™ll show you how to get up and ready to create your first Skype bot using the Microsoft Bot Framework. Youâ€™ll always find you run into bugs when developing anything. Weâ€™ll show you how to debug your Skype bot using the ngrok inspection tool, and test it using the Bot Framework Emulator. No one likes a one-sided conversation, so weâ€™ll create models in LUIS for our bot to understand and process natural language. Apart from one-sided conversations, everyone wants to feel understood. Weâ€™ll integrate the Text Analytics API into our chat bot so our bot can chat accordingly with sentiment. This is for the designer in you. Weâ€™ll show you (and your bot) how to format your Skype messages with images and buttons. The Azure Bot Service is an industry first bot-as-a-service, service. Weâ€™ll teach you how to use this integrated online environment for this and all other bot development you may work on. MS Bots is a fun course to take, but we do recommend that you have a good understanding of Node.js to make the most of it. If you need to brush up on Node.js, hereâ€™s a course you could take. Are you ready to start your chatbot adventure? The real question is, after taking this quick course, what will your next chatbot do?